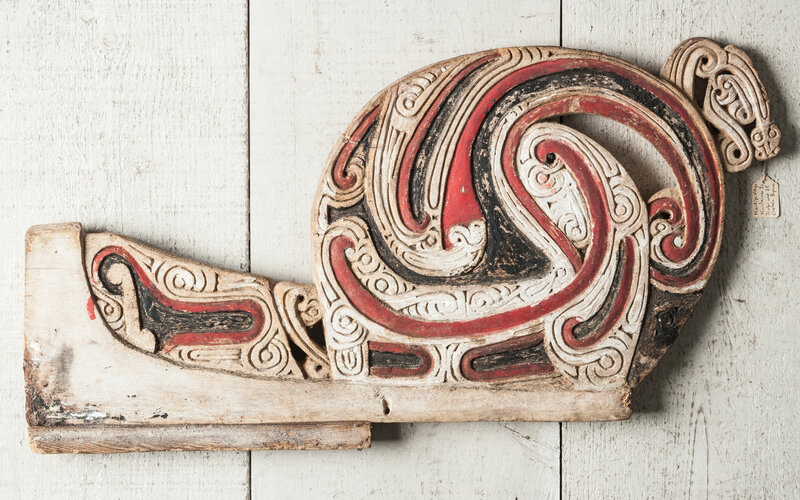 A fine and rare carved wooden canoe prow retaining the usual red, white and black earth pigment decoration in excellent condition. 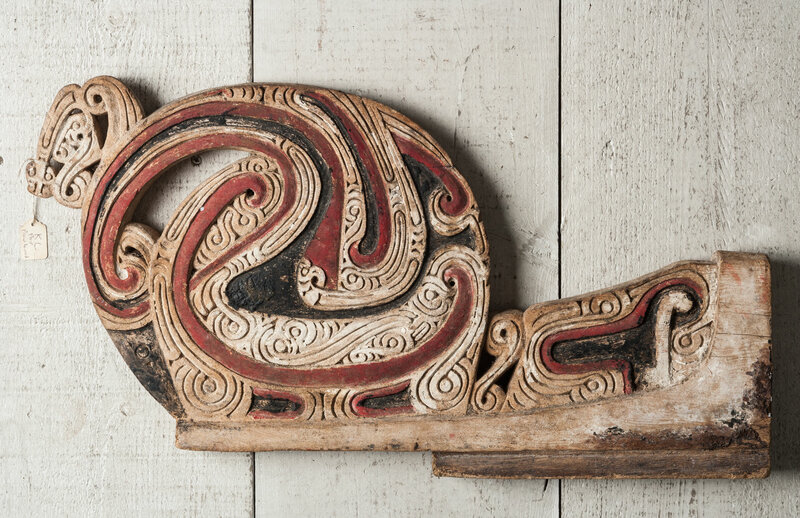 An old label states that this is from Kaisiga Village, Kaileuna Island, Trobriand Islands, Eastern Papua; (the second largest island in the group, after Kiriwina). Papua New Guinea, mid 20th century.